A healthy respiratory response is essential for optimal overall immune health. Concentrated to be fast-acting, this formula contains Echinacea purpurea grown on Gaia's own certified organic farm for immune health, plus Goldenseal, Oregon Grape, and Barberry - all natural sources of the phytochemical Berberine, which benefits the mucous membranes. * Designed specifically to help maintain the healthy function of the digestive system and cleanse the gut of waste material. Supports the Natural Balance of Healthy Intestinal Flora within the GI Tract; Supports Healthy Intestinal Environment. Echinacea Supreme has been used successfully for hundreds of years to support immune health. * Gaia Herbs� Echinacea Supreme purpurea is grown on Gaia�s own certified organic farm. Concentrated for a fast-acting response, Echinacea Supreme Supreme contains the full spectrum of Echinacea Supreme phytochemicals � including isobutylamides, the constituents most effective at supporting a healthy immune response. * Optimizing heart health sets the foundation for improved quality of life and longevity. Hawthorn Supreme extracts have been well researched for supporting many different aspects of heart function, while strengthening the heart muscle. * With certified organic Hawthorn Supreme berry, leaf and flower, Hawthorn Supreme Supreme promotes optimal cardiovascular function and healthy circulation. 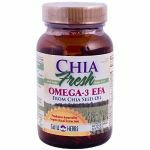 * The vitality and benefits of chia seeds are uniquely harnessed in ChiaFresh� Daily Fiber using the O2B Peroxidation Blocker preservation system. * This proprietary process captures freshness and prevents oxidation of the Chia seed and, through Supercritical CO2 extraction, removes unhealthy fat and concentrates chia's natural nutrients � improving shelf life and stability. The result is a nutrient dense, fresh-tasting product without the fat content found in whole chia seed, in a convenient, easy-to-mix format. Grown in the Eastern U.S., American Ginseng is part of the ginseng family of adaptogens which help the body cope with various forms of stress. In Chinese medicine, American Ginseng is known for it's "yin" cooling properties. 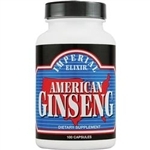 In western research, American Ginseng has been found to reduced inflammation and regulate stress hormones. A 2012 study presented at the American Society of Clinical Oncology's annual meeting found that American Ginseng significantly reduced fatigue in cancer patients. Supports a Healthy Intestinal Environment; Supports the Digestive Tract and Promotes Healthy Intestinal Flora. High in Polyphenol Antioxidants; Supports the Metabolic Functions of the Body; Helps Maintain a Healthy Inflammatory Response. 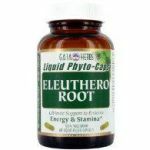 Eleuthero is a premier adaptogenic herb which enhances the body�s natural ability to adapt to stress, while supporting mental endurance and metabolic efficiency. 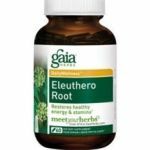 * Made from ecologically harvested Eleuthero Root , Gaia Herbs� Eleuthero Root Phyto-Caps� offer liquid extract potency, delivering 3,350 mg dry herb equivalency in each serving. A natural antioxidant source, Oil of Oregano contains phytochemicals which support the body�s natural resistance. * Gaia Herbs� supercritical CO2 extract of Oregano volatile oils contains phenols, including Carvacrol and Thymol. These oils help support a healthy microbial environment in the intestines and a healthy immune response. Black Elderberry helps maintain a healthy immune response whenever you need it. * Black Elderberry is unique in providing both antioxidant and immune support, due to its natural concentration of Anthocyanins and other Flavonoids. * Made with certified organic Elderberries, this product contains no sweeteners, binders, or fillers- just pure elderberry extract. Rhodiola is a potent herb that helps the body adapt to stress in a healthy way. 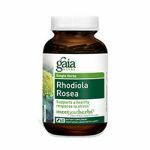 * Ecologically harvested from the pristine alpine meadows of Siberia, Gaia Herbs' Rhodiola optimizes energy levels while promoting a healthy mood. * Each serving of Rhodiola Liquid Phytocaps is concentrated to contain 12 mg of active Rosavins, delivering guaranteed quality and potency. A healthy respiratory response is essential for optimal overall immune health. Concentrated to be fast-acting, this formula contains Echinacea purpurea grown on Gaia's own certified organic farm for immune health, plus Goldenseal, Oregon Grape, and Barberry - all natural sources of the phytochemical Berberine, which benefits the mucous membranes. Echinacea Supreme has been used successfully for hundreds of years to support immune health. 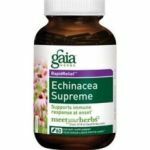 * Gaia Herbs� Echinacea Supreme purpurea is grown on Gaia�s own certified organic farm. Concentrated for a fast-acting response, Echinacea Supreme Supreme contains the full spectrum of Echinacea Supreme phytochemicals � including isobutylamides, the constituents most effective at supporting a healthy immune response. The health of the thyroid gland impacts how you feel on a daily basis. Because it helps regulate metabolism, every major system in the body is affected by altered levels of thyroid hormones. Gaia Herbs' unique formula supports normal thyroid hormone production - helping you maintain optimal weight, neuromuscular tone, and cardiovascular health. Supports Healthy Resistance from the Occasional Physical and Emotional Stressors; Supports Healthy Immune Functions; Supports Deep Immune & Liver Functions; Helps the Body Naturally Adapt to Stress. Supports Healthy Intestinal Environment; Supports the GI Tract and Promotes Healthy Intestinal Flora; Contains Fresh Black Walnut Hulls. Ginkgo contains antioxidants that optimize blood to flow to the brain, supporting cognitive function and memory*. 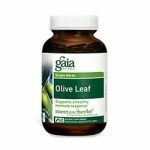 Each daily serving of Gaia�s certified organic Ginkgo leaf � extracted without the use of toxic solvents, provides the equivalence of 24% active Ginkgo flavonoid glycosides, plus the full spectrum of phytochemicals that exist naturally in the whole leaf. Many systems of the body can be negatively affected by stress. That is why achieving a state of calm and relaxation is so important for optimum wellness. 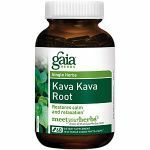 * Gaia Herbs� Kava Kava Root is a potent herbal extract which helps support emotional balance. * Made from ecologically harvested Kava Kava Root from Vanuatu, it contains a guaranteed 225 mg of active Kavalactones per serving. Multiple studies suggest that Milk Thistle Seed supports healthy liver function. 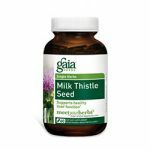 * Gaia Herbs concentrates its Milk Thistle Seed Seed extract under low temperature and low pressure to preserve the important phytochemical Silymarin. 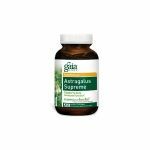 This constituent promotes healthy liver cell production and cholesterol metabolism in individuals with already normal cholesterol levels. Black Elderberries have been recognized for centuries throughout Europe for their immune supportive properties. Modern research has identified potent flavonoid compounds, called anthocyanins, which may be directly related to their health promoting properties. Taken daily, or on occasion to support the immune system, this concentrated syrup, made from Certified Organic Black Elderberries tastes great. And, it contains no artificial flavors or colors, no preservatives, and no high fructose corn syrup. Quick Defense supports the body's rapid response to immune stressors. Made with certified organic Echinacea, Black Elderberry, and Ginger extracts, plus wild-harvested Andrographis, Quick Defense is highly effective when taken at onset. It has a high concentration of Echinacea Alkylamides - the constituents most effective at initiating an immune response. Supports Healthy Resistance from the Occasional Physical and Emotional Stressors; Supports Healthy Immune Functions; Supports Deep Immune & Liver Functions; Helps the Body Naturally Adapt to Stress.